Mai, dar ce chef are Coville de intors acasa! Vine de parca se duce! Stie el de ce sta departe de coasta! Poze facute azi de la Cascais - Portugalia! Coville s-a intors acasa in sfarsit dupa 30 de zile. Picatura chinezeasca: mica si persistenta! 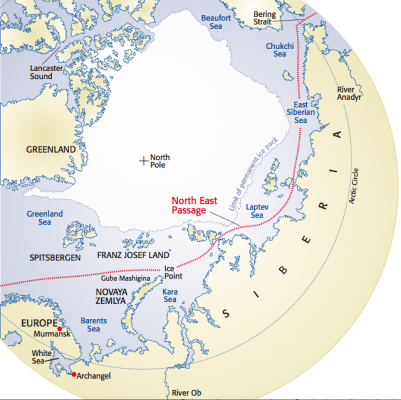 What’s the ideal yacht for attempting to set a record transiting the North East Passage? You might think a steel yacht, or aluminium perhaps, something that resists crushing by ice, a sturdy craft equipped sensibly, if not beautifully, with a pilothouse or other shelter on deck. You mightn’t think: the best yacht would be a round the world racing trimaran. But Chinese sailor Guo Chuan did. He has just bought has bought Francis Joyon’s 97ft trimaran IDEC. Surprisingly, he didn’t buy it to better Joyon’s lone round the world record – or at least not for now – but to set a record, the first officially recognised speed record, for going through the North East Passage. 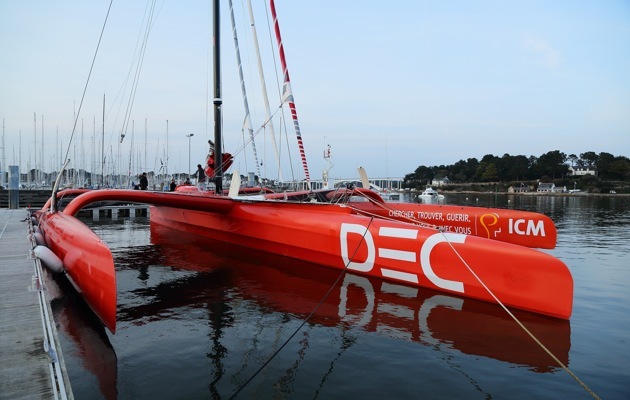 Guo Chuan, former Volvo Ocean Race crew and the first from his country to sail solo round the world, took over the Nigel Irens-designed trimaran in La Trinité sur Mer last month and will train with Joyon throughout April before renaming the yacht Qingdao. The project follows nearly two years’ research on the feasibility of attempting the North East Passage from Murmansk to Providenya. The World Speed Sailing Record Council has agreed to adjudicate on the first attempt of this world record challenge, skippered by Guo Chuan with an international crew from the UK, France, Norway and Russia. But going through the North East Passage is not guaranteed in one year. The route can often be impeded by ice, with every possibility of having to spent two seasons making the long journey through the Bering Strait. The map below shows the remoteness and length of this most difficult ‘sea voyage’. Guo, 50, is an aeronautical engineer who got the bug for sailing back in 2000 when he joined friends from the Royal Hong Kong Yacht Club for a day on the water. In 2008 he was picked to be the media crewmember on the Irish-Chinese Volvo Ocean Race entry Green Dragon and in 2012/3 he set a record as the first Chinese person to sail solo round the world, sailing a Class 40. The passage from Novaya Zemlya or Franz Josef Land to the Bering Strait was first completed in 1878 by Swedish scientist Nils Adolf Nordenskjöld in the ship Vega. The first modern yacht to do so was Apostle Andrew, skippered by Nicolai Litau from the Moscow Adventure Club in 1999, who sailed from Murmansk back to St Petersburg. It is now commonly used by the people of Russia as the shortest water route between Russian ports in Europe and the Far East, and this passage offers a saving of 5,000 miles. It is, however, carefully guarded, and taking a Russian crew is often a precondition of gaining the necessary permissions. Vestea proasta: chinezul a cazut de pe barca in timpul incercarii de record din Pacific. Vestea buna: doua trimarane in stand by pt recordul in jurul lumii: Joyon cu noul IDEC si Coville cu Sodebo care vrea sa ia startul maine.